All of Susan’s books in order of publication. To see by genre, use the bar on the left! Available on Amazon as a paperback and Kindle, as well as other ebook platforms! Fiona Smith is in summer exile at her horrible Aunt Irene’s house. Bullied and beleaguered by her snobby cousins, Fiona quickly realizes there is more wrong in the beachside home than miserable tempers. Someone is systematically robbing all the wealthy houses along the shore. Despite her plan for revenge on her nasty cousins, Fiona is lured into the mystery when an innocent boy is accused of the crime. Between pirate maps, creepy prowlers, and splattered cherry pie, Fiona is determined to solve the mystery, win the reward, and make this into the best summer ever! Read an excerpt of Pirates, Prowlers, and Cherry Pie here! When their mother disappears, twins Addie and Jacob Medway are carried off to the Nova Scotia town of Port St. George by their distraught father. But there’s something weird about this town, something that is changing them. Addie experiences surges of uncontrollable rage and frightening blackouts; Jacob battles physical handicaps while struggling to keep their lives normal. And local mean girl, Margo, is haunted by her supposed family heritage as a dragon slayer. Caught between ferocious ocean storms and terrifying hunts for mythical dragons, all three teens must struggle to overcome fate and choose their own destinies in a world that seems to have no place for them. This wonderful Holiday Sampler of heartwarming stories and poems offers delights from the authors of the Writers Cooperative of the Pacific Northwest. The collection transports you from toe tapping, belly chuckling, and heart rending to wheels turning thoughtfulness. Holiday Sampler blankets you with reads to cozy up with in front of a fire and get you in the holiday spirit. Hidden. Terrifying. Magical. These electrifying stories tell the tales of six encounters with the dragons who live among us. Set in Alaskan ice fields, New Mexico desert, and ocean storms, the hunters and the hunted are brought face to face with mythical beings they could only dream of. From a slightly worn-down waitress to a high-powered money manager, light-hearted love is on the horizon in this collection of contemporary romance stories. Sit back and enjoy a dozen tales of the modern search for romance and true love. No matter who you are, we all deserve a great Happily Ever After! Read an excerpt of Romance in Pajama Pants here! Upbeat stories and essays that celebrate the holidays of your year. From Valentine love between a granddaughter and her Nana, through the frenzy of the Fourth of July, to the memories and excitement of Christmas past and present, dive into tales of the rituals and loves that define our lives. Read an excerpt of Holiday Cheers here! Available on Amazon as a paperback and Kindle! No matter how hard she tries, Sammy can’t stay out of trouble – with her teacher, with the school bully, and especially with her mother. When she rescues an abused dog, Sammy's sure that Jack will love her as much as she loves him. But the pup has never learned to be a good dog. He tears up the house, threatens to bite her mom, and won’t do anything Sammy tells him to do. The more Sammy tries to care for the dog, the more things go wrong. Her messed-up life just gets worse and worse. Sammy held out her hand. Jack cringed back and whined. "Oh, sweetheart! I'll never hurt you." Instinctively, Sammy crouched down and held out her arms. Slowly Jack's head extended. She held her breath. His nose touched the back of her hand, cool, gentle. His eyes held hers, and her fingers extended to brush the soft tip of his ear. Sammy won’t give up on Jack – not ever. But when danger threatens the family, can Sammy depend on Jack to save them all? Read an excerpt of Sammy and the Devil Dog here! Marylee is a foster kid, sullen and angry, as she is moved from home to home. She’s convinced no one wants her or will ever care about her because of her lame leg. But when she finds an abandoned baby, she finally has her chance to love someone and be loved in return. But caring for a baby is far harder than she ever guessed, and the baby doesn’t seem to love her no matter how much care and affection she lavishes on her. Marylee is faced with the hardest decision of her life – does she love the infant enough to do what is best for the child? Currently out of print in French as L’Ete Est Encore Loin. Tom Kirby was chicken and everybody knew it. Billy MacPherson had made sure of that. A year has passed since Tom failed to pass the Cobras initiation – to make his way alone through the terrifying drainage tunnels cut into the Niagara Escarpment. Angry and friendless, he spends time wandering the region, trying to work up his courage. But when he makes friends with Andrew, another misfit, his summer takes an abrupt turn for the better. Despite the new friendship, Tom can’t escape the final test of bravery. Someone is deliberately trying to sabotage Ash Lake computer camp! But who? And why? Part time detectives and full time mischief-makers, Liz Elliot & Amber Mitchell get themselves in way over their heads when they try to fit all the pieces together. When they began their summer vacation, they’d had no idea they'd be risking their lives. But something has to be done before the best camp cook in the whole wide world ends up in jail – and they end up grounded for life! "Amber!" Liz clutched Amber's arm. "Did you hear something?" If they're not careful, Amber & Elliot's two-week stay at Ash Lake computer camp could be their last...ever! Fourteen-year-old Angel Cerillos is stuck living with foster parents at a second-rate desert motel while his mother is in the hospital. 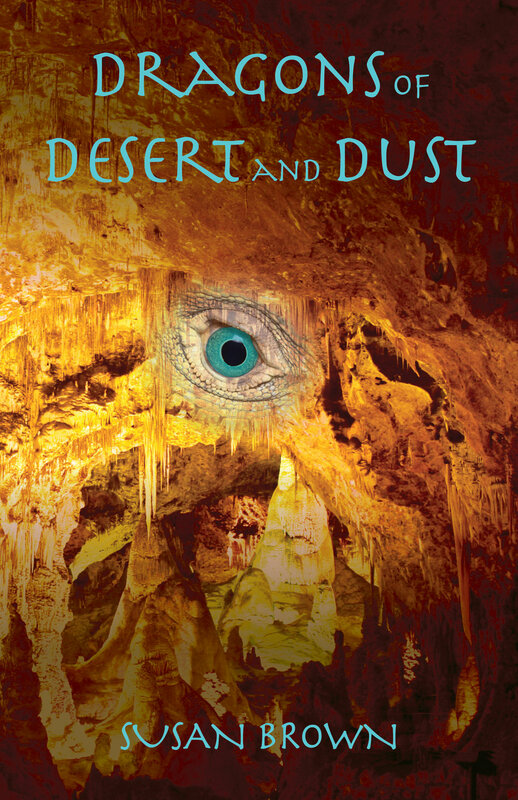 Despite threats from a local rancher and his greedy foster father, Angel is determined to scour the harsh desert for turquoise nuggets that could pay for his mom’s care. Without them, all he has of value is a carved, two-headed turquoise serpent, left to him by his mysterious father. It’s a hard life. But the desert spirits are awakening, and the mythic power of his dragon talisman spins Angel into terrifying danger. A year has passed since Kit Soriano’s mother disappeared in an Alaskan blizzard, but she refuses to give up. No matter what anybody says, her mother is not dead. Against all logic, propelled by recurring dreams of ice-white dragons and a magical silver knife, Kit journeys to the place where her mother vanished. She’s clearly not welcome in the wilderness town of Silver Claw, but her knife throbs with heat and her dreams show the impossible – mythical dragons are guarding her sleeping mother. Desperate, Kit has no choice but to rely on Dai, a white-haired boy who knows more than he says about the wild magic rippling beneath the surface of the town. She wants to trust him. But is he her friend or an enemy? If she’s wrong, will she too be lost forever in the unforgiving Alaskan wilderness? David must make major life adjustments after his father embezzles company funds and David is sent to live in a foster home and placed in a tough city school, where bullies torment him and teachers look the other way. Using his own resources, David eventually finds ways to cope and even succeed in his new environment, without responding with violence. David's world changes overnight when his mother dies and his father abruptly disappears. A rich kid who attends a private academy, David suddenly finds himself in a chaotic foster home and a public middle school in a rough neighborhood. Struggling with the loss of his parents, a bullying gang of boys at school, and his new home life, David nearly gives up. But when he reconnects with his jailed father, and then with his wealthy grandfather, David begins to triumph over the difficulties in his life, realizing that his thoughts and actions will determine whether he will thrive or become "a loser." He makes friends at school and excels as a soccer player. Brown has created very appealing characters, particularly David, who, in his struggle to survive, develops a growing capacity for friendship. The images of David's home life, the schoolyard brutality, and the excitement of athletic competition are all well rendered; the well-developed plot is believable, and its happy ending will leave young readers satisfied. Currently out of print. New edition coming in 2018! When Amber Mitchell and Liz Elliot discover someone has been hacking into Ash Grove Junior High’s computers, and more importantly, their end of term projects, they set out to find the culprit. A fellow student appears to be responsible, but the two detectives discover a far more serious crime of cyber piracy.